More and more people every day are shouting from the rooftops their love of kickboxing. Though it is gaining popularity, you might not know how great a workout it really is. We’ve gathered up some of the biggest benefits that come with kickboxing. After you’re done reading how kickboxing can help you, come to Burn Kickboxing in Syracuse. Our trainers will help you kick your fitness into gear! There’s not much that is more gratifying than throwing a swift kick into a heavy bag. Kickboxing gives you a healthy way to exercise your stress away. Take out the frustration of a long day at work while you get a total body workout. Beyond the physical act of letting loose giving you a nice dose of relief, exercising will release endorphins throughout your body which help improve mood. It’s clear to see why there’s a lot of smiles on faces as they leave a kickboxing session; they’re feeling awesome! Walking hand-in-hand with your stress levels dropping, you’re going to feel like you could conquer the world after you pull off your first roundhouse kick. Those endorphins that got released while you worked out? They’re boosting your mood and helping you think more positively. With the full body workout you’re getting from kickboxing, you’ll see improvement in your form, fitness, and body. When you see that improvement, you’re more confident about your skills and ability to accomplish anything you set your mind to. With a workout that calls on every body part, you’re going to get better at moving your body in the way that you want. Engaging and strengthening your core muscles will also improve your posture, which can help a ton if you deal with back pain issues. You’re also tapping into your reflexes and honing them on a consistent basis. Kickboxing requires you to focus your energy and plan your movements so you can move quickly, which tests your reflexes and improves your coordination throughout every workout. According to Muscle and Fitness Magazine, an hour of kickboxing can burn over 800 calories. Not only are you kicking your metabolism into gear, you’re also toning your whole body. With how much of a high-octane cardiovascular workout you get from kickboxing, you’ll also be improving your blood flow, which means your body will get the oxygen and nutrients it needs to get stronger and work harder. If you normally get your cardio from running on the treadmill and you’re looking for something to mix things up, kickboxing is a great cross-training cardio workout. Try adding some wrist or ankle weights or a pair of lightweight boxing gloves to give you a little extra resistance. All it takes is one or two kickboxing sessions a week to help get out of the fitness doldrums. A high-energy cardio workout like kickboxing gets your heart rate up, your blood flowing, and your toxins out through your sweat. The increase in oxygen to your brain and muscles will make you feel energized and fresh, even after an intense session. Just be sure you don’t overdo it! Even though you have the energy, your muscles will need to recover, and you’re sure to be sore the next day. Just like all martial arts, kickboxing requires a lot of discipline as its foundation. The act of following instructions, understanding and mastering certain movements, and learning specific stances and positions all require discipline and determination. The more time that you spend kickboxing, the more likely you are to carry that determination and discipline into other aspects of your life. That can improve your quality of work and help you succeed with day-to-day activities. 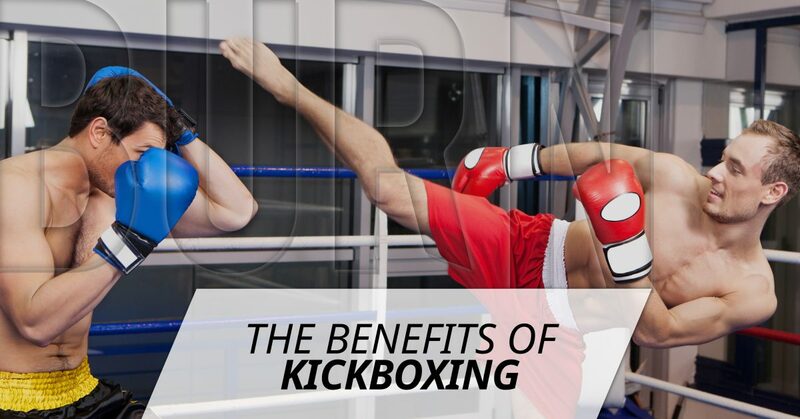 There are many benefits you stand to gain from adding kickboxing to your training regimen. From improving your mood and confidence to helping you burn calories and strengthen your posture, kickboxing is the total body workout that can help you achieve your goals, inside the gym and out. Still not convinced? Come to Burn Kickboxing and try it yourself. Sign up today for your no risk, no obligation trial. We’re confident that you’re going to love it. Kick your fitness into gear and get started at Burn Kickboxing today!